Traverse the country or set upon that local trail that you’ve always wanted to conquer. 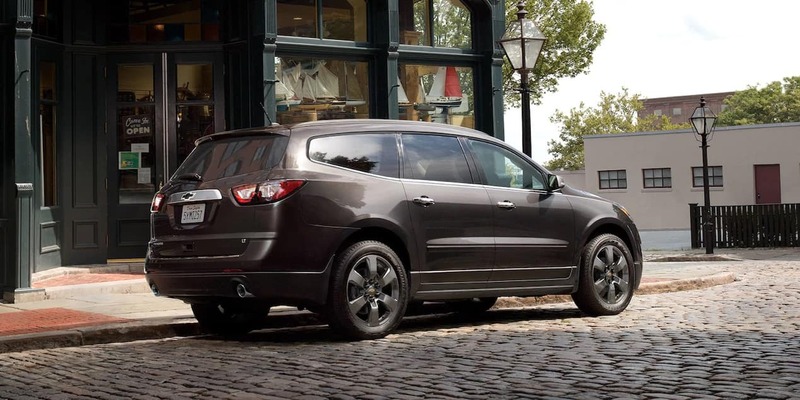 No matter where you need to go, the Traverse is there to help you meet your goals. This vehicle has several features that make it an ideal option for traveling and getting around the city in style. With extreme comfort and intuitive controls, you’ll feel like this vehicle is an extension of yourself. The 2017 Chevrolet Traverse for sale in Libertyville IL is designed to help you get the best possible value on your vehicle purchase. Come down and see the 2017 Chevrolet Traverse at our dealership and take home a Traverse for sale by the end of today. Depending on your trim level that you choose, you’ll get several features that are designed to help you enjoy your next adventure. The vehicle comes with the option of 17-inch, 18-inch or 20-inch wheels, and you’ll be able to enjoy a variety of wheel options depending on the trim you choose. The automatic headlamp control comes standard with this vehicle, and you’ll love the available sunroof that gives you a better view of the road above. The fog lamps also help protect you in poor weather conditions by making your vehicle more visible to other cars on the road. Come and see our 2017 Chevrolet Traverse for sale in Libertyville IL, and you’ll fall in love with the design. The 2017 Chevrolet Traverse is designed to give you exceptional functionality, and you’ll get a better view of the road with the higher vantage point available on the Traverse for sale at our dealership. Everyone can come along when you adjust the vehicle to accommodate seating for eight people. This vehicle also has the best-in-class maximum cargo space and you’ll enjoy the ability to stay connected with 4G LTE WiFi built into the cabin. The vehicle comes with a host of exceptional features, and you’ll love how well connected and productive this vehicle makes you on the road. 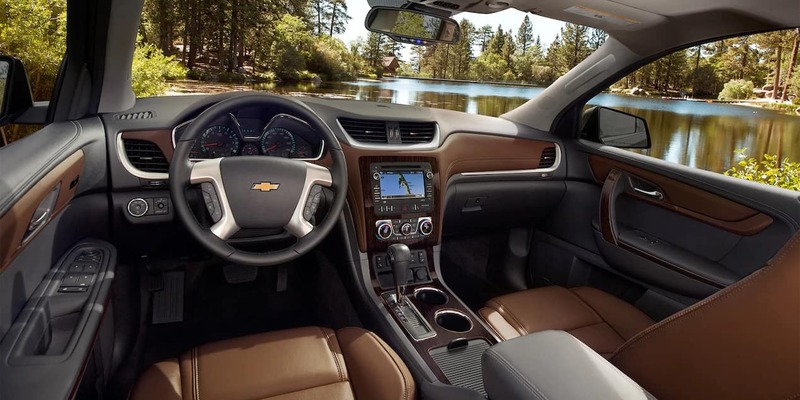 At Libertyville Chevrolet, you can get a test drive of the Traverse so you can better gauge how this vehicle works for your needs. With a host of Traverse specials available, we can help you get a great deal on your next Chevrolet. 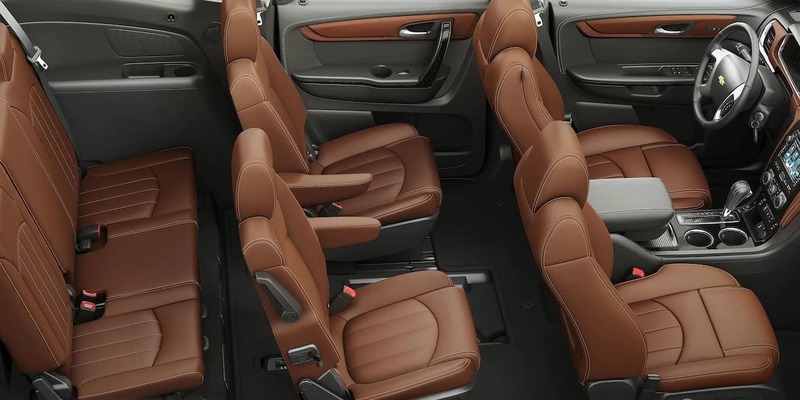 From advanced technology to the most comfortable of seating arrangements, you simply can’t go wrong with a Traverse. Enjoy the power and control of four-wheel antilock brakes that are designed to help you stop more quickly and efficiently. You’ll also get an all-wheel drive option on some of the higher trim models to give you a more stable driving experience. The vehicle uses a suspension that’s designed to balance the car evenly and keep everyone inside the cabin comfortable. 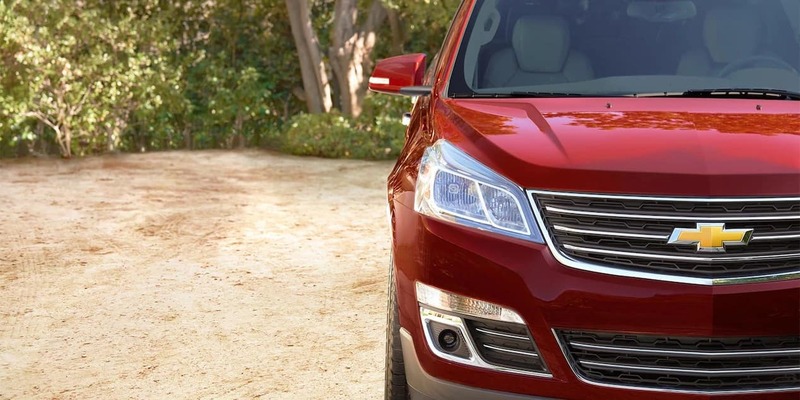 Enjoy a more effective driving experience and get more accomplished when you choose the Traverse for your next vehicle. 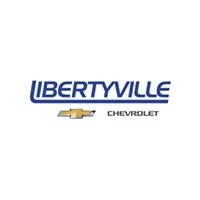 Libertyville Chevrolet wants you to experience the mechanical features of this vehicle for yourself. A description doesn’t do this vehicle justice. You need to experience the smooth and comfortable setup of this vehicle. 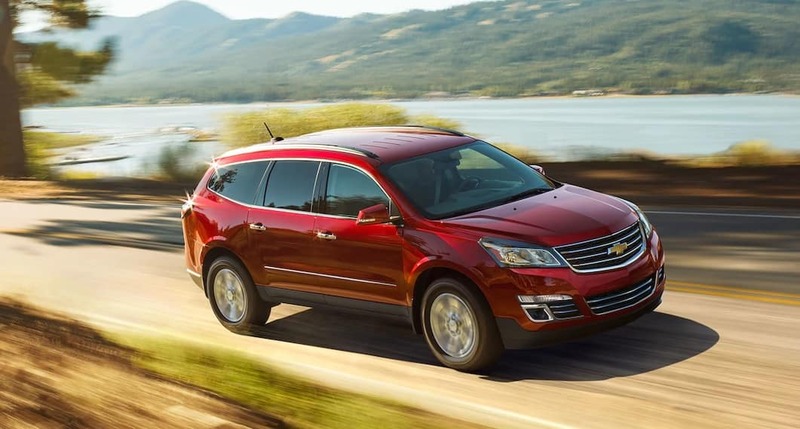 The Traverse makes short work of bumps in the road and our Traverse specials are designed to help you get a new Chevrolet for less money. The base level trim comes with a surprising selection of features, and you’ll enjoy a standard 3.6L V6 engine on all trim levels. The engine on the 2017 Chevrolet Traverse for sale in Libertyville IL is just part of a larger system of sophisticated and durable technology that allows you to enjoy a seamless driving experience. The vehicle also offers an engine block heater that makes it possible for you to get the engine primed and ready in the colder months. You’ll also get an outstanding heavy-duty cooling system to help you get a vehicle that is designed to help you get more accomplished. The engine is powerful enough to give you good passing power on the road, and you’ll be able to get a superior level of performance. Come down and see the 2017 Chevrolet Traverse in person, and you’ll be able to take home one of our many Traverse for sale today. When it comes to safety, you have a lot of options at your disposal. This vehicle is designed to help keep you safe in an accident. Starting with the air bag system and central air bag, you’ll be able to enjoy protection throughout the cabin. You’ll also get a Forward Collision Alert and Lane Departure Warning system on some of the higher trim levels. The dual-note horn lets you choose how to respond to others on the road, and you’ll love the OnStar service that protects you in the event of an accident. At Libertyville Chevrolet, we take the safety of our customers seriously. 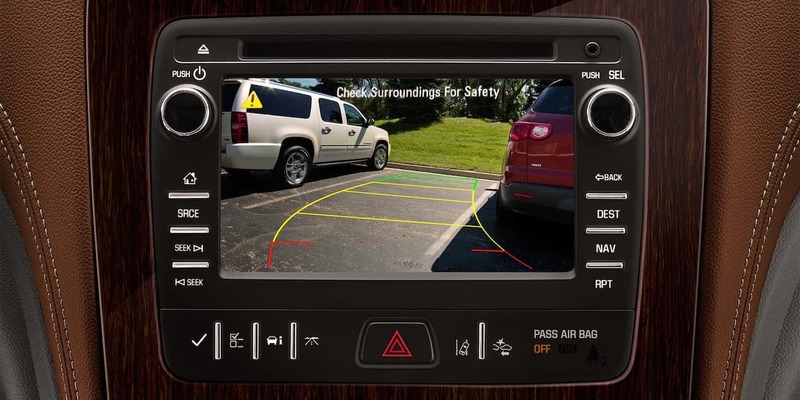 Since we want you to be able to enjoy our Traverse specials without worrying about if the vehicle will protect you, we’ve provided all of our customers with information about all the major safety systems in this Chevrolet. 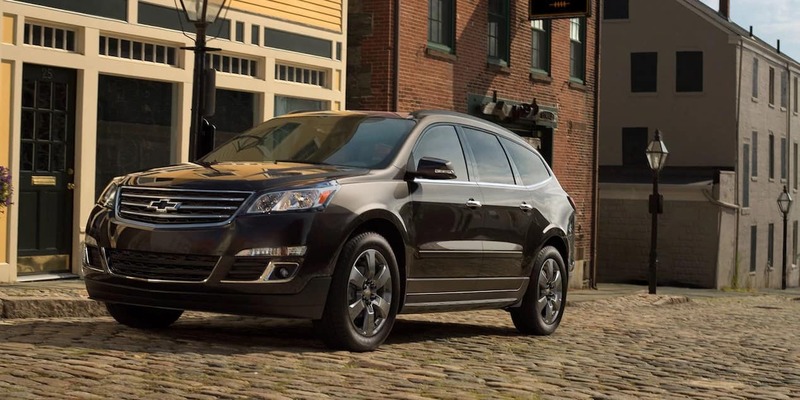 It’s time to get your 2017 Chevrolet Traverse for sale in Libertyville IL and we want to urge you to buy your 2017 Chevrolet Traverse	from our dealership. We believe that we have the best options if you’re looking for a Traverse for sale and our Libertyville Chevrolet dealership will provide you with the best options and offers. Come down and see our Traverse specials and take home your new Chevrolet today.